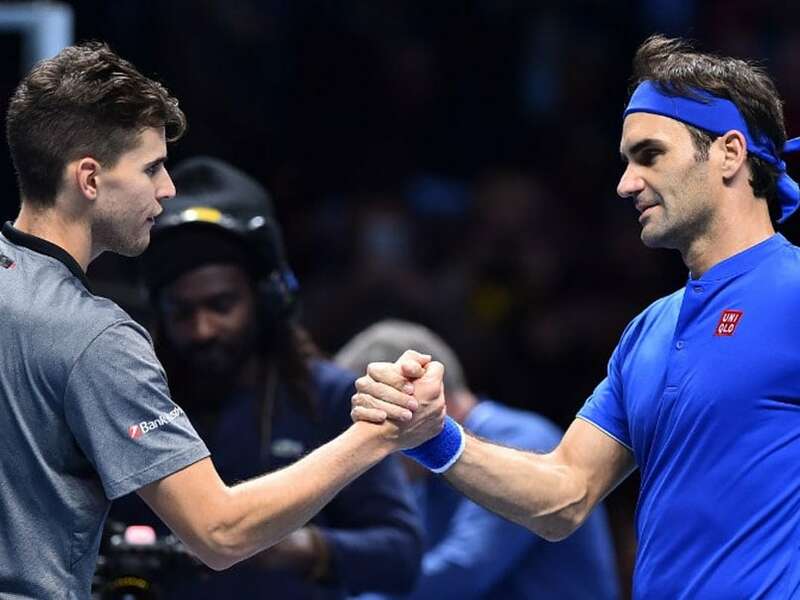 Roger Federer will face Dominic Thiem for the 2019 Indian Welss title. 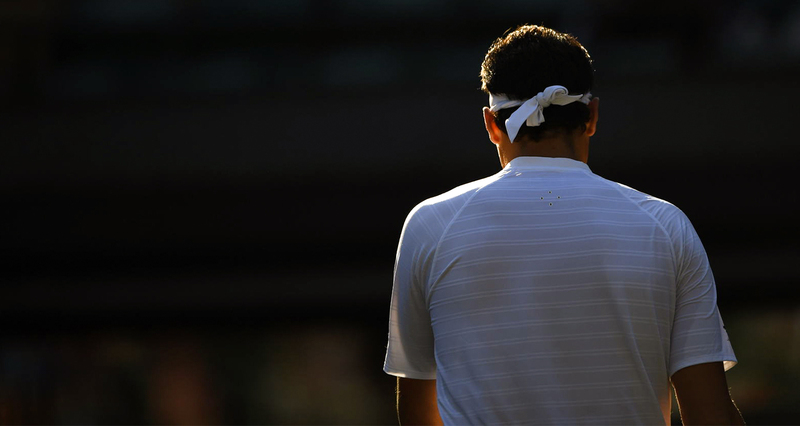 Federer advanced after Rafa Nadal withdrew due to injury while Thiem defeated Milos Raonic 7-6 (7/3), 6-7 (3/7), 6-4. Nadal couldn't take the court for the blockbuster semi-final with Swiss great Federer. "I wanted to try my best to be competitive today," a dejected Nadal said. 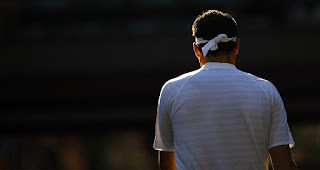 "I warmed up today in the morning, and I felt that my knee was not enough good to compete at the level that I need to compete, to play semi-finals match of this event." 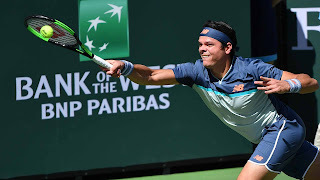 Milos Raonic defeated Miomir Kecmanovic 6-3 6-4 at the BNP Paribas Open and reached the semifinals. Raonic fired 13 aces against no double faults in putting away Kecmanovic in 72 minutes. Milos Raonic survived a scare from 217th-ranked qualifier Marcos Giron Monday, rallying in the third set for a 4-6, 6-4, 6-4 victory in the third round of the ATP Indian Wells Masters. 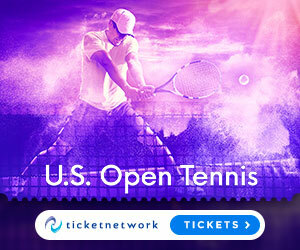 Giron, 25, looked set to claim the biggest win of a career that has been hindered by two hip operations when he took a 4-1 lead in the third set. 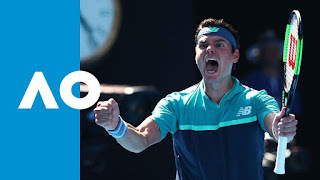 But Raonic called on all of his experience to turn things around against the American, who had never won two ATP Tour matches in a row until this week. Alexander Zverev smashed his racket into the court eight times in frustration after he went 4-1 down in the second set against Milos Raonic. By that time it was all but over as the big-serving Canadian rolled to a 6-1, 6-1, 7-6 (5) victory on Monday to reach the quarterfinals of the Australian Open for the fourth time. Raonic dropped the opening game but then rebounded by winning the next eight. Zverev held serve to end that streak, but was broken again two games later and that tipped him over. 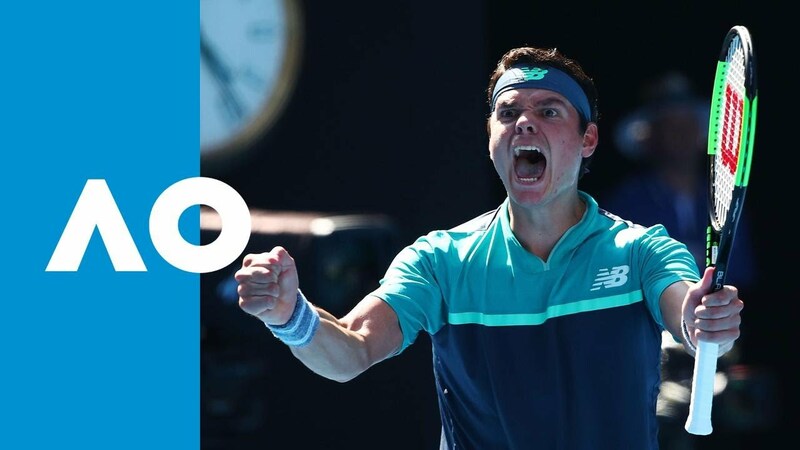 Milos Raonic dispatched Gilles Simon in straight sets 6-3, 6-4, 6-4. 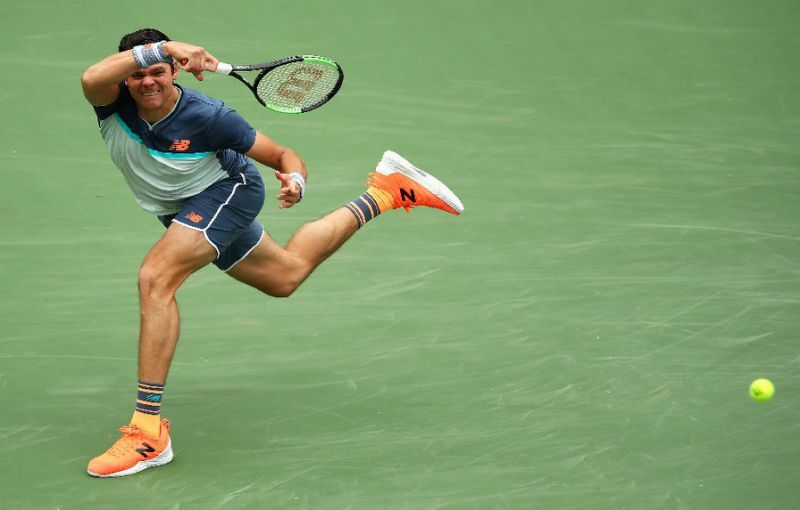 Milos Raonic gets his #USOpen campaign off to a winning start. He defeats LL Carlos Berlocq 7-6(4),6-4, 1-6, 6-3 to advance to the second round. Watch Rogers Cup highlights as Milos Raonic sweeps David Goffin and Borna Coric sets a second-round matchup with countryman Marin Cilic. Milos Raonic details his excitement for the 2018 Rogers Cup, held in Toronto, the only place he grew up watching tennis as a fan. 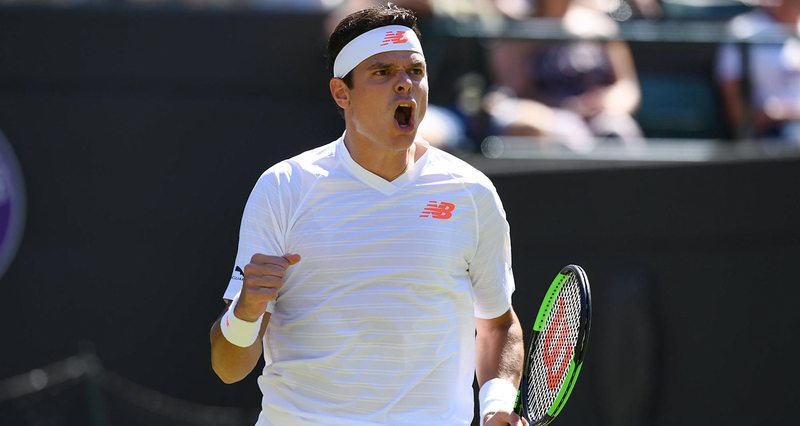 Milos Raonic, who is working with 2001 Wimbledon champion Goran Ivanisevic, discusses why he feels comfortable and in strong condition after injuries. Q. I don't know what to ask because it's pretty disappointing for you. When did you start feeling the thigh or whatever it was? MILOS RAONIC: Service game and a half before I called for the trainer. Q. What did it feel like? MILOS RAONIC: It feels like a tear of the muscle. 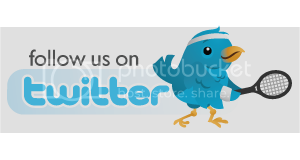 I don't know to what extent. That's sort of the sensation I had. Q. Obviously pretty competitive match. We talked about the match before. A lot of service holds. Anything surprise you about this match, anything unexpected about how it played out? 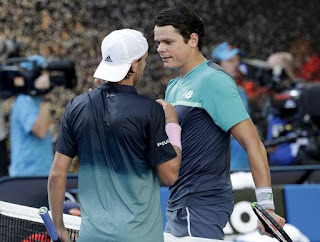 MILOS RAONIC: No, I think it was pretty by the script. There wasn't many chances. As long as I could hold it, I tried to. Just sort of kept slipping away from me slowly. Q. How do you rate that among the four matches you played here so far? MILOS RAONIC: It's good. I was more aggressive. I led off sort of how I came back on Saturday to finish off that third match. I'm pretty happy with things. I missed a few opportunities in the third set. Then I just sort of let up a little bit, and he played well in that tiebreaker. Other than that, it was a pretty clean match. I didn't face any breakpoints, I don't believe. I did a lot of things well. Q. How would you describe this match? Three sets, but it was nothing easy? MILOS RAONIC: Yeah, it wasn't. Yeah, for the first set and a half I didn't really create much, especially on his serve. I was fortunate to get through that tiebreaker on two well-played points. And then I thought I started playing well midway through the second set. You know, I got stuck on that service game serving for the set with the sun in my eyes, but other than that, I think I beat him quite a few games to 30, had some opportunities that I just didn't make the most of. But overall happy to be through and happy to be moving on. Q. Did you expect to have such a good run after it was 5-5 in the first set? 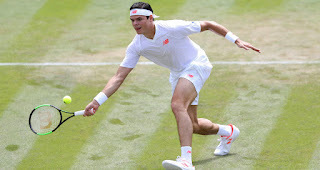 MILOS RAONIC: You know, he hit a couple really good shots, made some impressive shots at the beginning, had that look at the beginning of I think my first return game. Didn't make the most of it, but yeah, I didn't think it was going to go that way that quickly after, but I'm glad it did. Q. It was very high level from you. 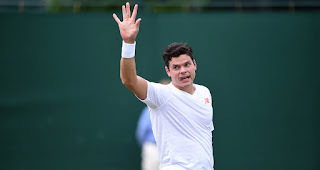 MILOS RAONIC: Yeah, no, I did a lot of things well. Once I sort of -- obviously I expected to be tight the first set, go out there and didn't -- I needed a moment just to free up once I got that break. He got a little bit tight on that 5-All game or 5-6, and after that I freed up and I thought I played really well. Roger Federer defeated Milos Raonic 6-4, 7-6 (3) to mark his return from three months off with the Stuttgart Open title on Sunday. The Swiss great, who is assured of reclaiming the No. 1 ranking from Rafael Nadal on Monday, broke at 1-1 in the opening set and held his nerve in the second, where Raonic double-faulted. Federer skipped the entire clay-court season for the second year in a row, but he wrapped up his 18th grass-court title in 1 hour and 18 minutes - his 98th title overall and third of the season after victories at the Australian Open and World Tennis Tournament in Rotterdam. 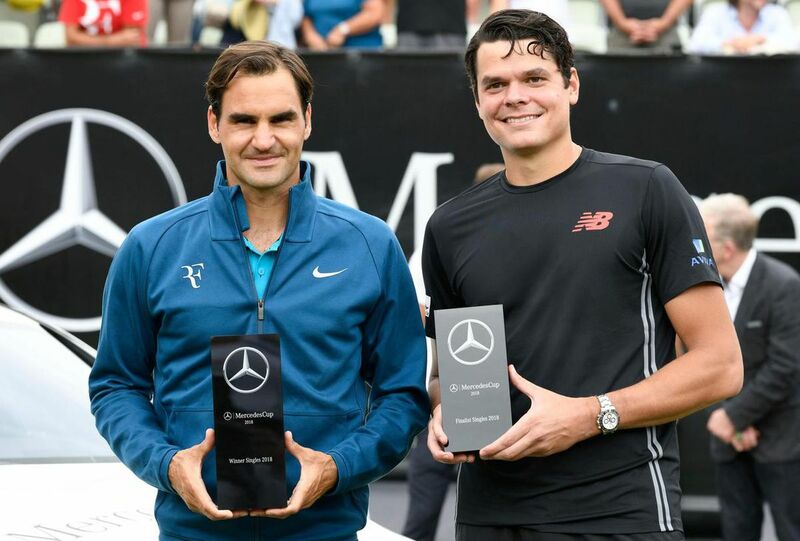 Watch highlights as Roger Federer clinches his 98th tour-level title with a straight-sets victory against Milos Raonic in the MercedesCup final on Sunday.